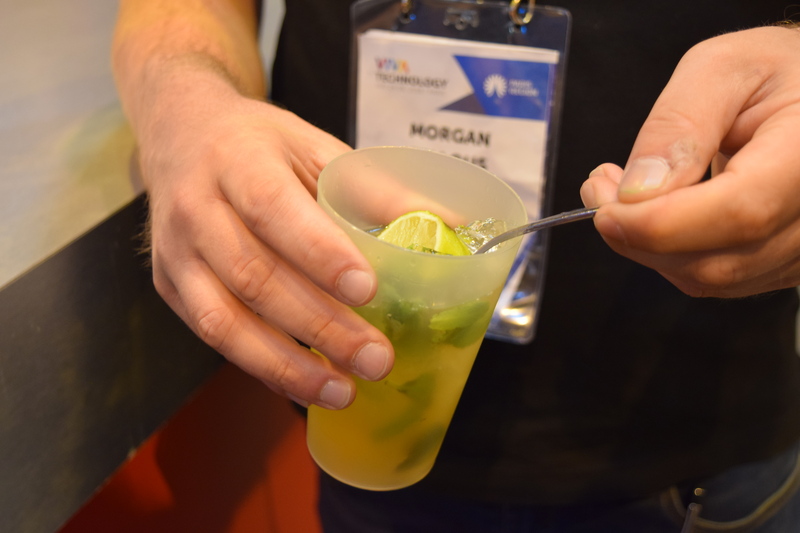 QuickTake: A lot of DrinkTech at this year’s VivaTech revolved around cocktail machines, smart planters and wine gadgets, meaning there is a lot more room for new products and innovation. Cocktail making machines seemed popular with the highest end one being the Kuantom, making an appearance for at least the second year in a row. This was part of the LVMH area and is displayed with the Belvedere vodka. 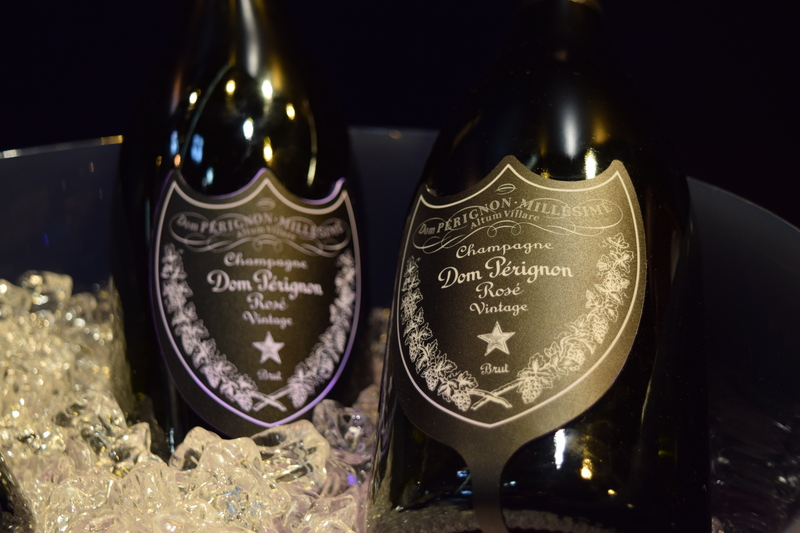 The idea being you can put five different ingredients in the canisters and mix up a themed menu for upscale events like weddings or other places without a dedicated bartender, like duty free. They have developed some themed classy cocktail menus that are meant to allow for discovery rather than just make another mojito. Speaking of mojitos, The Blendbow cocktail machine was also impressive. This one’s a nicely designed workhorse that can turn out a decent (yep, we tried it!) mojito in about 30 seconds. It’s made for mass production (80 cocktails an hour!) and would presumably work well for things like ball games or large venues where there is not a dedicated bartender, but someone who is pulling taps and punching the cash register. The VitaVinum stand was manned by great staff who took a lot of time to walk us through their product, which is a touch terminal for customers in supermarkets or shops to help them select a wine. 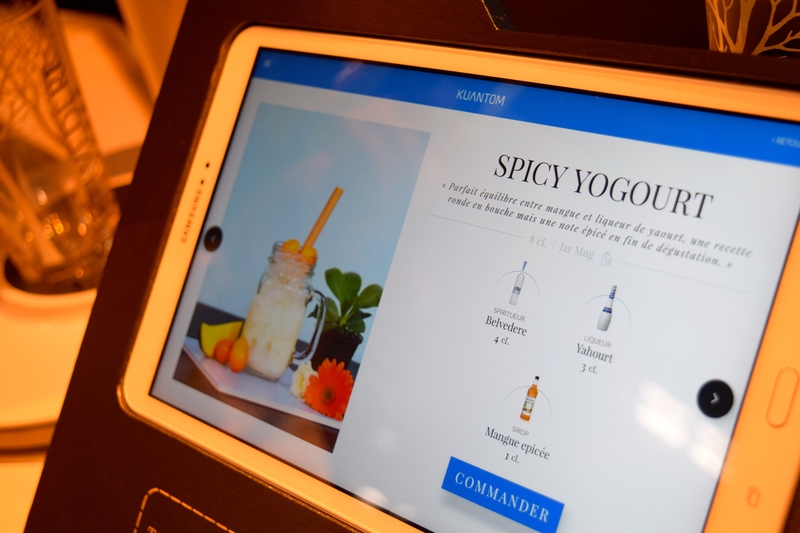 VitaVinum is able to catalogue and – more importantly – provide accurate information on each bottle in a venue and suggest wine based on customer needs. 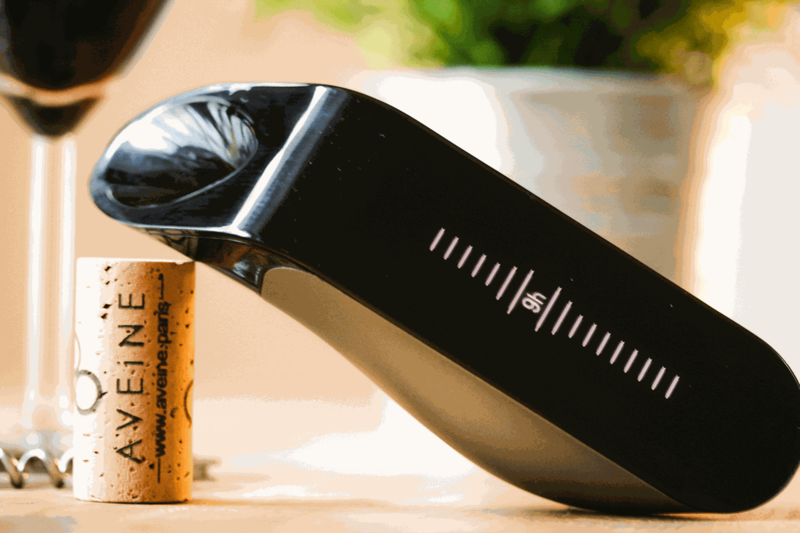 Another potentially useful wine gadget was the Aveine connected aerator. I haven’t personally had good experience with wine aerators, however, for those who do use them this one claims “Any wine. Perfectly aerated in an instant. Every single time.” They weren’t offering up taste tests so hard to say if it works, but I do think it’s an interesting application of tech to the drinks world for the general consumer. Sometimes tech just falls into the “because you can” variety without adding a lot more actual value. 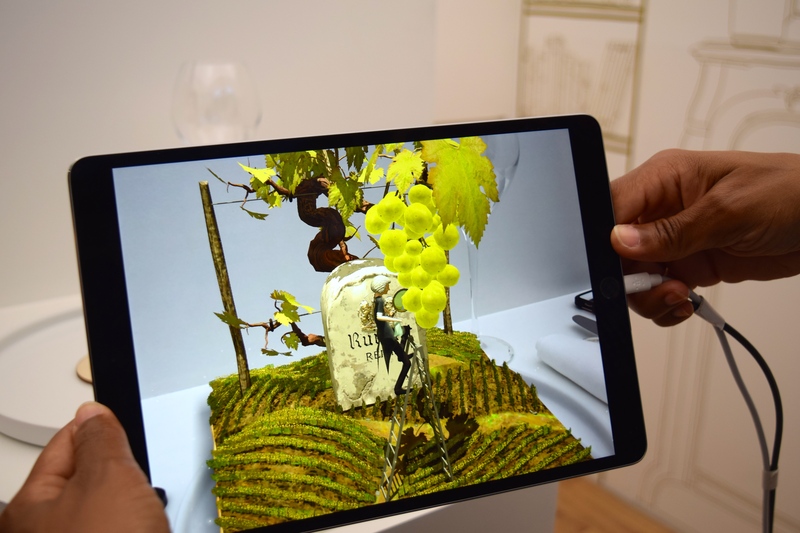 The Ruinart booth has some sweet animation when you scanned the logo with a tablet that takes you through a story about their vineyards. 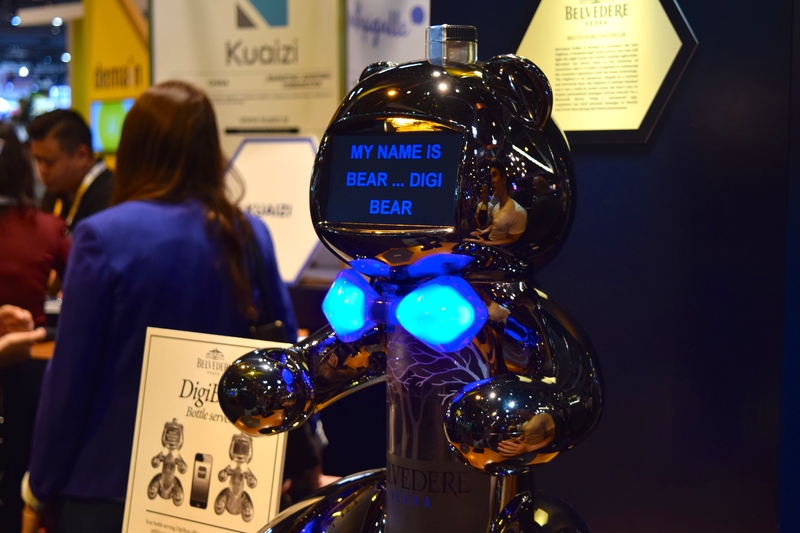 Also, at the same LVMH area, there was the Digibear vodka server. Now, I got a little exciting thinking it was actually going to be a little silver bear robot bartender to make you drinks. But, in reality it’s just a glorified holder for a vodka bottle with an LED screen on its face. Cute, I guess, if that’s your thing. What I didn’t see much of were apps. And, there are some interesting ones to use here in Paris, which we’ve discussed before. 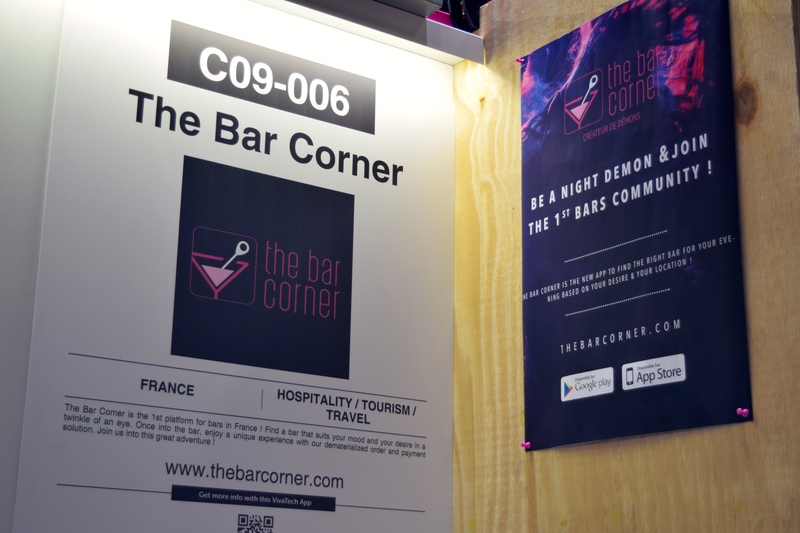 However, there was a stand for the Bar Corner which is an app that helps you find a bar based on your mood, budget and some other factors. Regular readers know we also have a similar iOS app to help you find the best Paris cocktail bars, but where the Bar Corner is different is that it has drinks of all kinds, rather than just cocktails, and nearly 1,000 bar entries. So while it’s obviously not as tightly curated, that doesn’t meant it might not lead to new discoveries. On a non-tech note, I also discovered Tensia Tea at one of the bar stands there. It’s an organic fair trade iced tea which is a nice change from a lot of way too sweet bottled iced teas I find here normally. Another thought on the visit is it’s probably best to go on pro versus general public days – although at a few hundred bucks a spot, that’s really only an option for the very serious. But, there is a big difference of the engagement and energy level of the exhibitors on pro versus public days. Finally, I love the food trucks set up outside for lunches and the fact that they have the option to skip the queue by ordering with your smart phone. However, even when ordering this way, we still waited about ½ hour for our food. Seems like a convention full of techheads could sort that out somehow better. 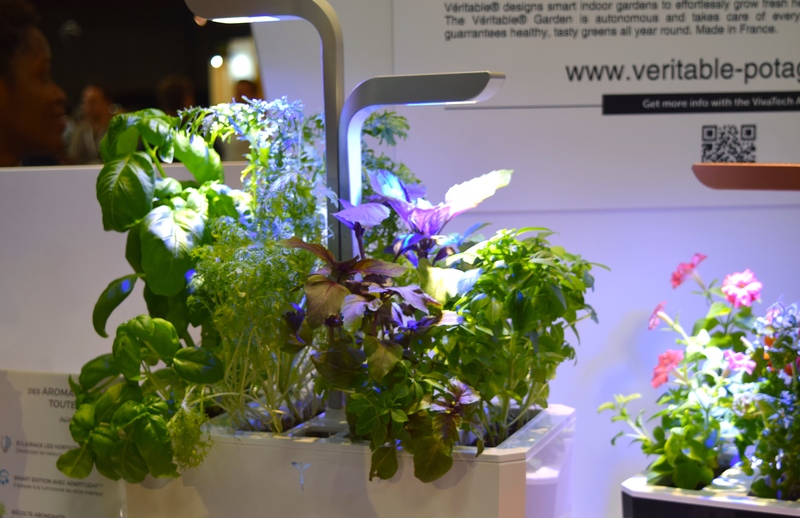 Overall, there were some interesting things but I’d like to see more innovation and tech being applied to the industry to add value ( For example the exhibitor DouxMatok, a food tech company applying green chemistry to food to target flavor in order to reduce sugar or salt content without affecting the taste.) But it’s also interesting to visit even beyond the food and beverage side, so I’ll definitely head back next year to see what’s new in DrinkTech and otherwise.